Getting around an open campus in a small town with scarce public transport can be rather challenging when you don't own a car. 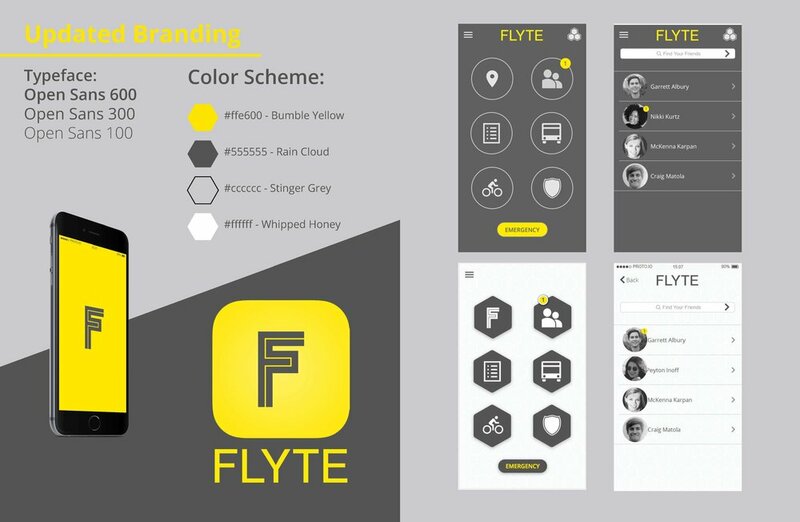 Flyte is a transportation app built in response to this problem most college student face. It assists "SCAD bees" to fly around Savannah with ease, and the way that suits them the most by tracking vehicles, reserving rides and checking routes. UI design, Reserach and User testing. We went ahead and did a lot of field research near the freshmen housing to see how the bikeshare and beeline was utilized. We then created a low-fi in Adobe XD and craeted personas and journey map on the basis of that. We have designed a concept transportation application for SCAD students to be able that promotes safety, connect with students and travel around campus easy.